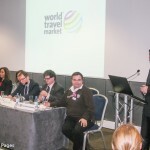 At the time of the WTM, released data revealed that early bookings from the UK market to Greece for the 2015 tourism season were already up by seven to eight percent year-on-year, which corresponds to 250,000 bookings. 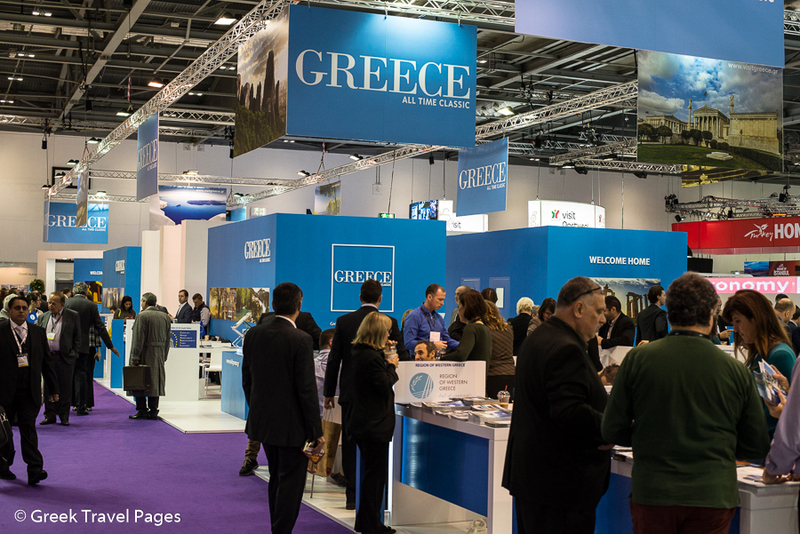 According to statements from tourism professionals and Greek regional representatives, the UK market showed a great interest for the country and discussed strategies and other tourism-related issues for the coming season. 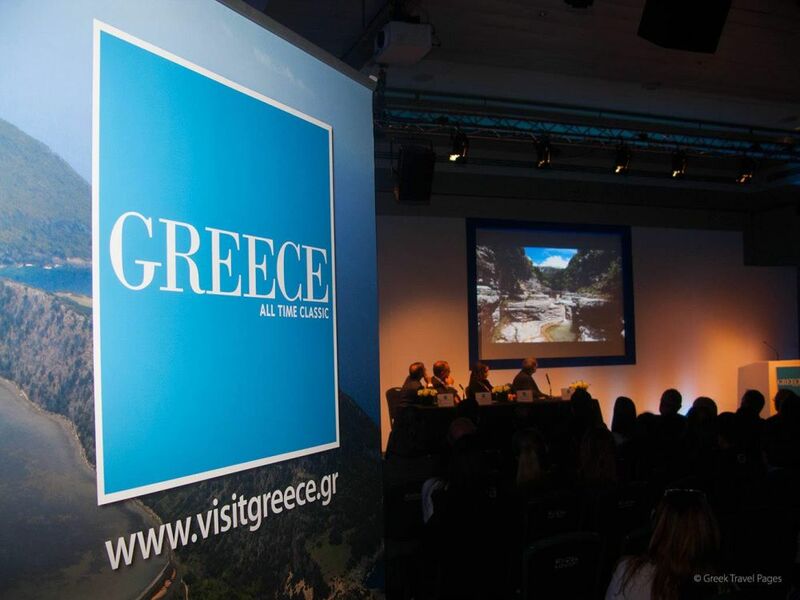 Greece’s significant tourism growth was also discussed in London between Tourism Minister Olga Kefalogianni and Association of British Travel Agents (ABTA) Chairman Noel Josephides. 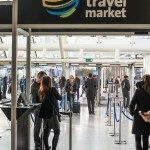 He informed her that British travel agents were showing a great interest in the destination and that “this is expected to show during the 2015 tourism season”. Greek Tourism Confederation (SETE) President Andreas Andreadis and Greek Tourism Minister Olga Kefalogianni. 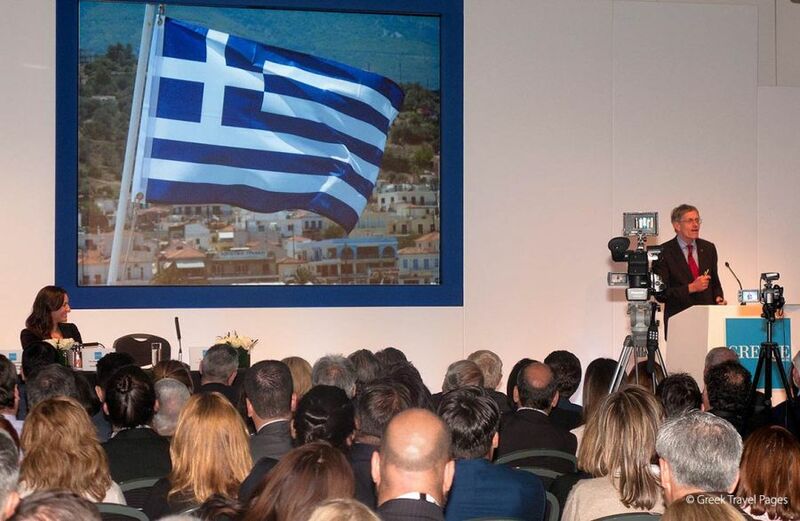 Leading travel companies such as TUI Travel PLC and Thomas Cook Group also gave their vote of confidence to Greece, according to discussions their representatives held with Greek National Tourism Organization (GNTO) Secretary General Panos Livadas. 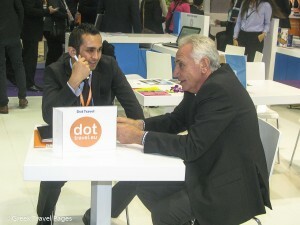 According to Mr. Livadas, political stability and renewed trust in Greece is giving the country’s tourism industry a boost. 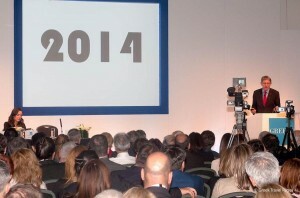 “2014 has, without any doubt, been a year to remember. 2014 has been a year of new, all time records for Greece,” he said during the Greek press conference to the foreign media. 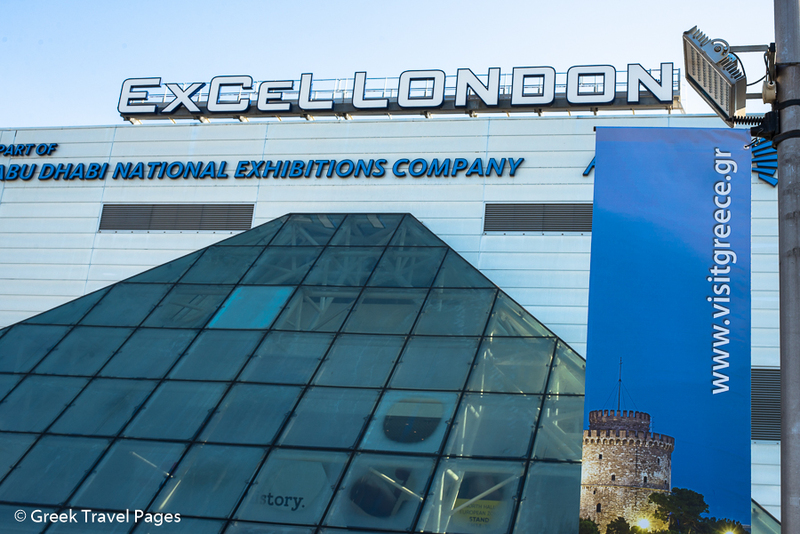 On her part, the Greek tourism minister said that, taking into consideration the positive messages from London this year, 2015 is expected to be an equally positive and effective year for tourism. 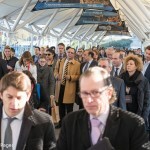 According to the new 2014 international arrival forecast of the Greek Tourism Confederation (SETE), visitor arrivals to Greece are expected to reach some 23 million (including cruise arrivals), an increase of 15 percent compared to 2013. 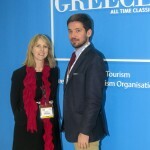 “Every Greek destination is the birthplace of an ancient god, every place in our country hides a myth, a magical story, the energy of which is kept alive until today,” Greek Tourism Minister Olga Kefalogianni said while presenting the country’s new communication strategy for 2015 during WTM. The GNTO will promote the new campaign, which is based on the Greek gods and ancient heroes, via Greece’s official tourism site visitgreece.gr and through social media. 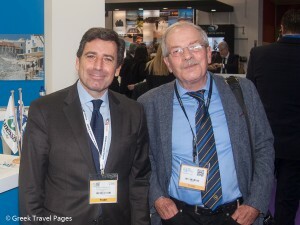 As 2014 is the 100th anniversary of the formation of a tourism office in Greece, an overview of the British love affair with the country and its eternal appeal was given by travel writer Simon Calder, on the first day of WTM. 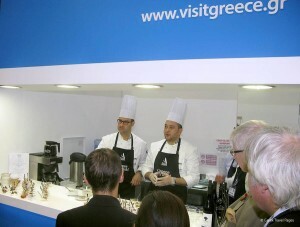 Throughout the days of the exhibition, visitors and exhibitors enjoyed Greek Breakfast selections at the GNTO stand every morning. 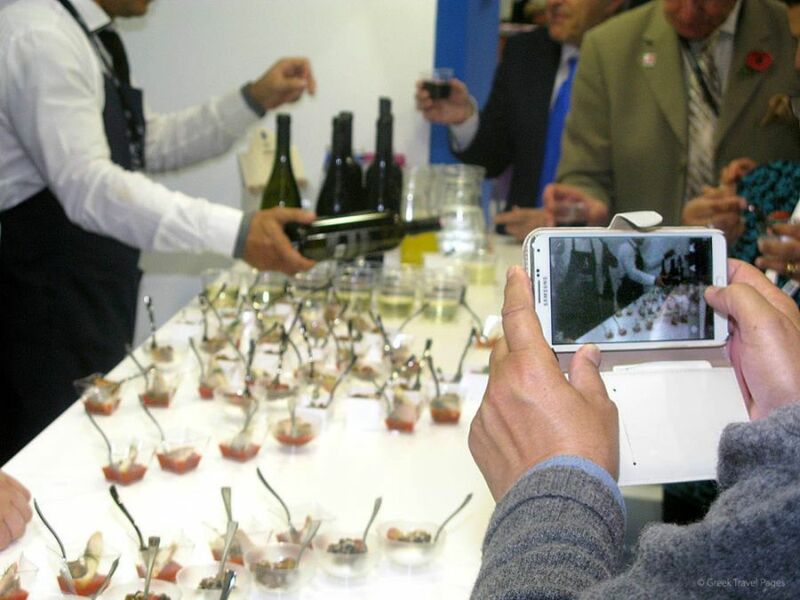 Also, various cookery competitions with prize draws were held at the Greek stand in cooperation with TTG DIGITAL, Aspire and OTT Travel Training. 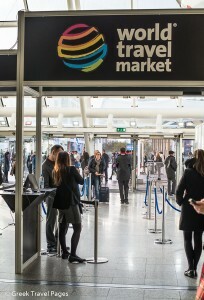 The competitions were open exclusively to travel agents. 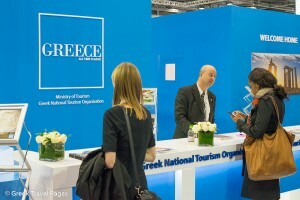 Greek National Tourism Organization (GNTO) – On Greece’s tourism performance this year, the director of GNTO London, Christina Kalogera, said: “We are delighted to report 2014 has proved to be a fantastic year for tourism and we are proud it is one of the main factors driving recovery in the economy. 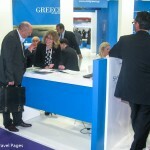 We continue to work hard to increase the holiday season, facilitating the development of a range of new holiday products as well as highlighting unknown gems that we are confident people will love to visit.” According to data by the GNTO’s UK office, in the year to August, Greece saw a 16 percent increase of arrivals from the United Kingdom and a staggering 20 percent increase of travel receipts. 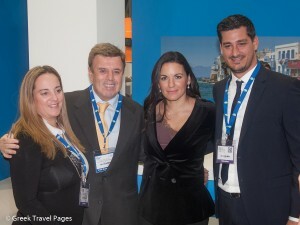 Greek Travel Pages (GTP) – Maria Theofanopoulou, publisher of GTP, with Nikos Morantis, CEO of online distribution channel Destsetters and George Grafakos, president of Aqua Vista Hotels. 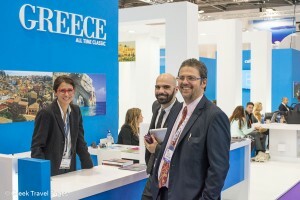 According to Mrs. Theofanopoulou, compared with other years, many quality visitors inquired about destination Greece during this year’s World Travel Market. 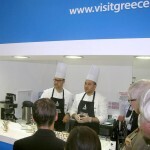 “I hope the quality that was shown by the visitors will be the ‘ingredient’ included in Greek tourism in 2015,” she said. 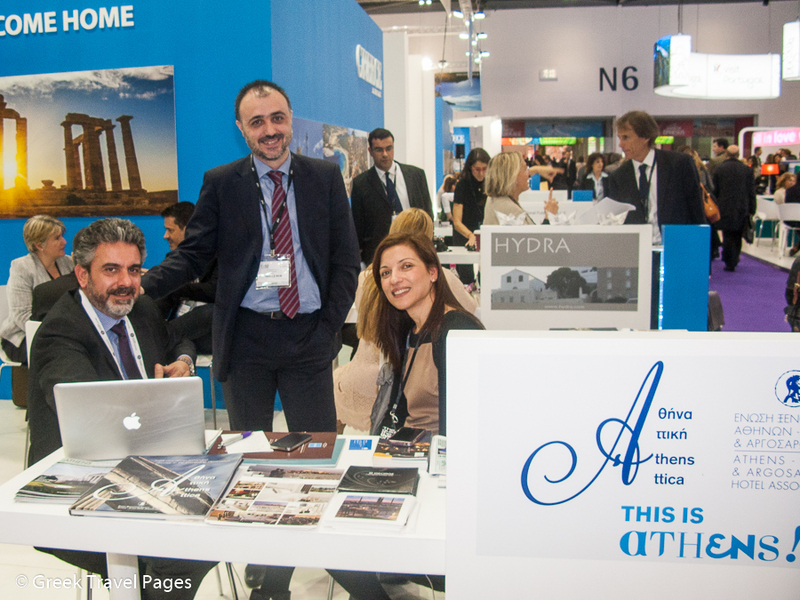 Athens – The Greek capital was represented to the UK market by the Athens Development & Destination Management Agency (ADDMA) and Athens Convention & Visitors Bureau (ACVB) through a joint stand with the Athens-Attica & Argosaronic Hotel Association. In total, over 50 meetings took place at the Athens stand with representatives of international tourism organizations, travel agencies, online booking websites, airlines, journalists, and bloggers. 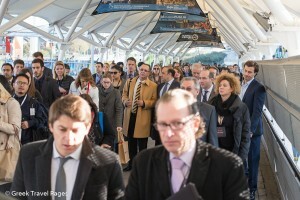 According to ACVB, the interest of professionals this year focused on Athens, not only as a city break destination, but also as a destination for cruise, yachting and maritime tourism, gastronomy/wine tourism, conference tourism and cultural tourism. Pictured: ACVB’s press and media manager, George Aggelis and ADDMA’s public relations director, Kalliopi Andriopoulou, with Manolis Psarros, CEO of Toposophy. 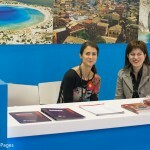 Thessaloniki – The Thessaloniki Hotels Association promoted the Greek northern city’s “fun – gastronomy – culture – history” to international travel agents and tour operators at this year’s WTM. 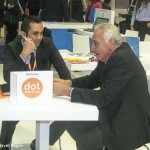 The association’s representatives held meetings with hosted buyers during the WTM’s speed networking sessions and presented Thessaloniki’s comparative advantages. They also invited travel bloggers and journalists from TV stations to visit and discover the city and to transmit their experiences to the British public. Pictured: the vice governor of Central Macedonia, responsible for tourism, Yiannis Yiorgos and the marketing manager of the Thessaloniki Hotels Association, Evdokia Tsatsouri. 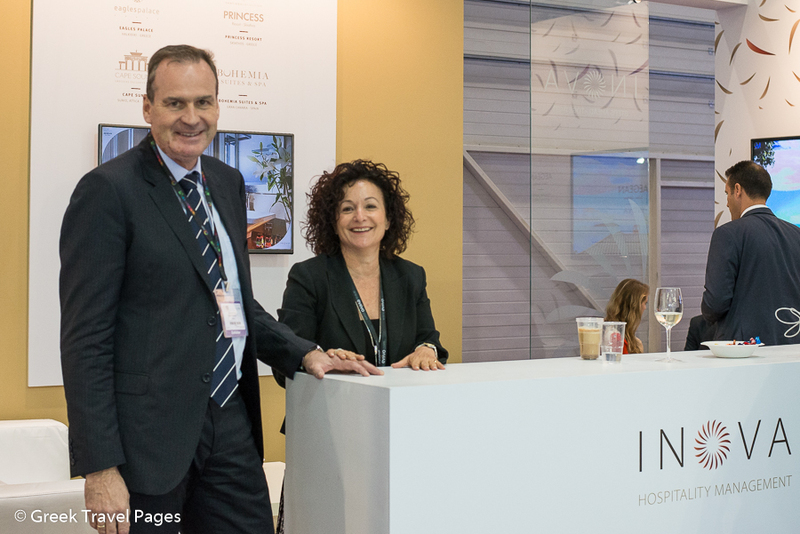 INOVA – A first-timer at the World Travel Market, the stand of INOVA Hospitality Management was booming with meetings. 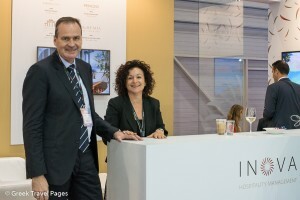 INOVA is a sales and marketing management company that involves luxury resort hotels, most of them in Greece. 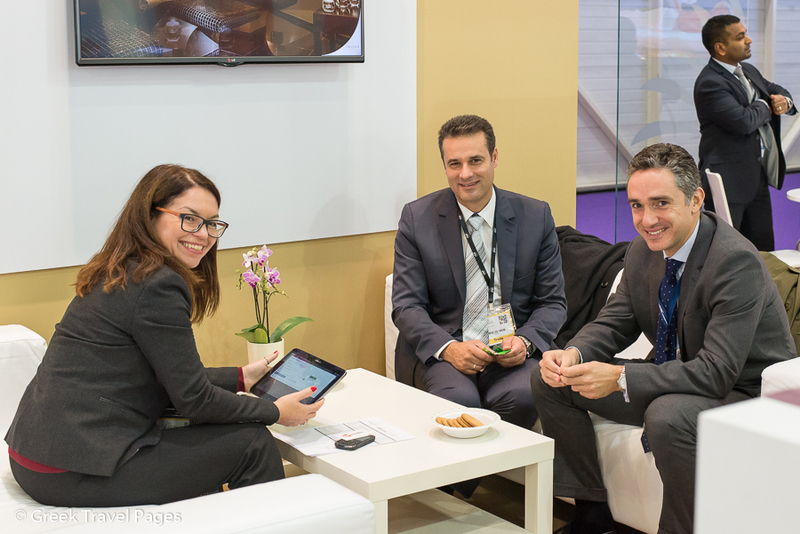 “Our experience as a company at the WTM is very positive, as we have had many pre-scheduled appointments,” INOVA’s managing director, Andreas Birner, told GTP. “I think that the Greek stand, overall, has attracted many high quality visitors and we are very happy with the level and number of visits that we have,” he said. In regards to the forecast that 2015 will be another record year for Greece, Mr. Birner said that if Greece manages to have political and economical stability, the country will not only have a record year but may even exceed the number of expected arrivals. 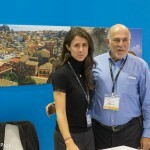 Aqua Vista Hotels – Representing a collection of high-quality hotels and promoting luxury tourism, Aqua Vista was meeting nonstop with international buyers and media representatives. 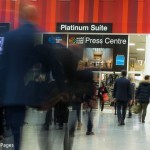 The company’s agenda of meetings included leading travel agents such as Destinology, Life Style Hotels, Just Resorts, DivaDestinations, Move Mountains and media oulets such as Conde Nast Traveller UK and Russia, Brides and Sunday Times. 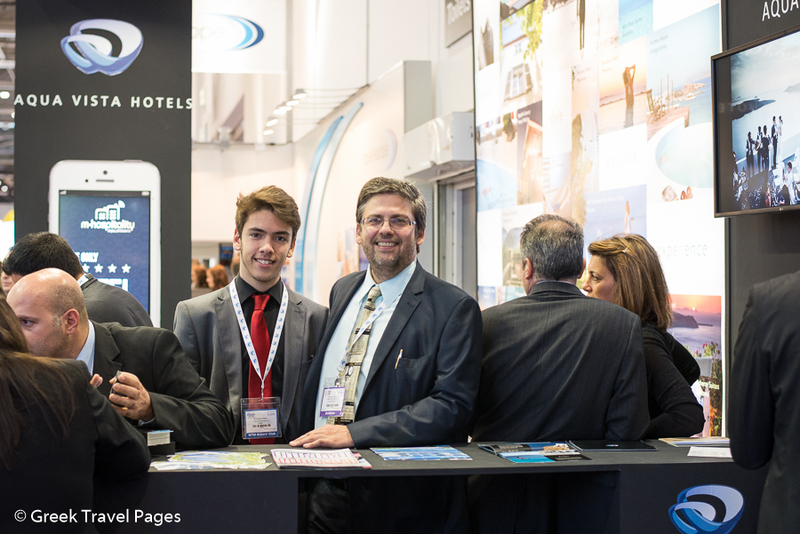 “The considerable success of Aqua Vista Hotels at WTM 2014 shows the growing interest of hotels abroad to join our affiliate network,” the company said in an announcement. 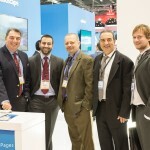 Pictured right is George Grafakos, president of Aqua Vista. Mykonos – “The UK market is a leading and historical market for our island,” Mykonos Mayor Konstantinos Koukas told GTP. Mr. Koukas said that there is a continuous stream of visitors arriving to the island, which he hopes will increase and prolong the season’s duration. 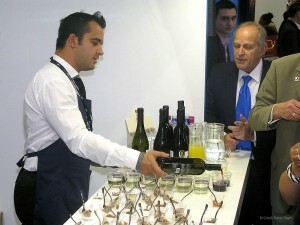 The mayor added that already his team is reviewing the brand “Mykonos”. 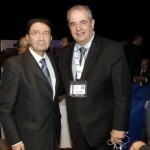 He believes that the municipality will be able to make official announcements from the beginning of next season. 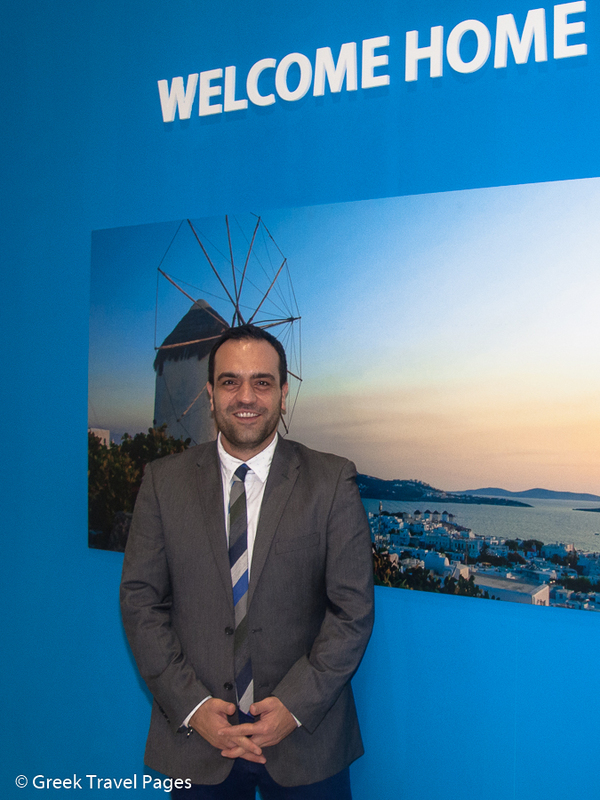 AQUILA Hotels & Resorts – The first year of operation of the renovated 164-room Aquilla Atlantis hotel, in the center of Heraklion, Crete, was highly successful, Eftychis Petrakis, the yield & revenue manager of Aquila Hotels & Resorts, told GTP. 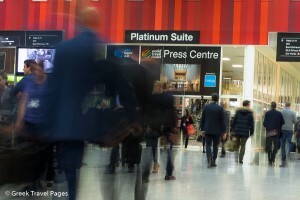 “Judging by its success, we can say that it was not only the right choice and investment for us, but also a good investment for the city,” he said. In 2015, the company will conclude renovation works to the Aquilla Elounda Villa. An adults-only resort, the Elounda Villa will have 30 new superior rooms. According to Mr. Petrakis, the concept “adults-only” proved very successful for the resort. 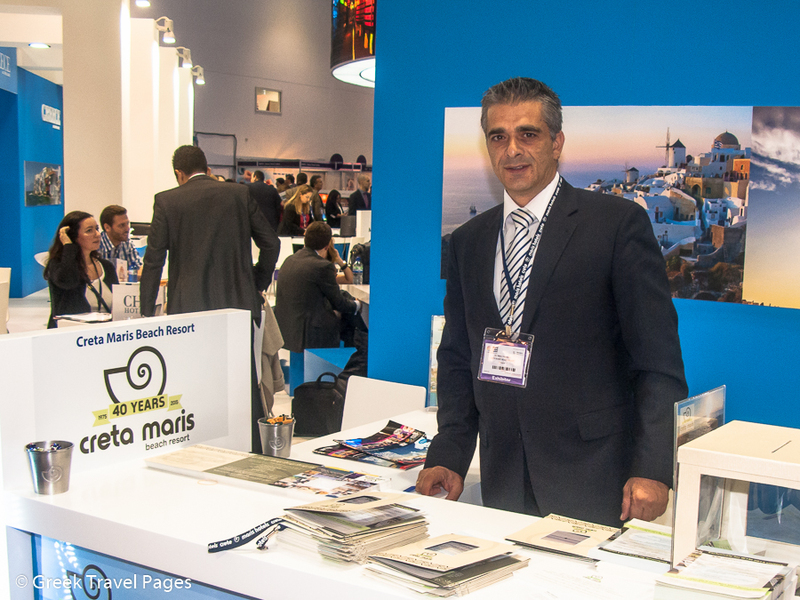 Creta Maris – In 2015, the Creta Maris Beach Resort will celebrate 40 years of operation. 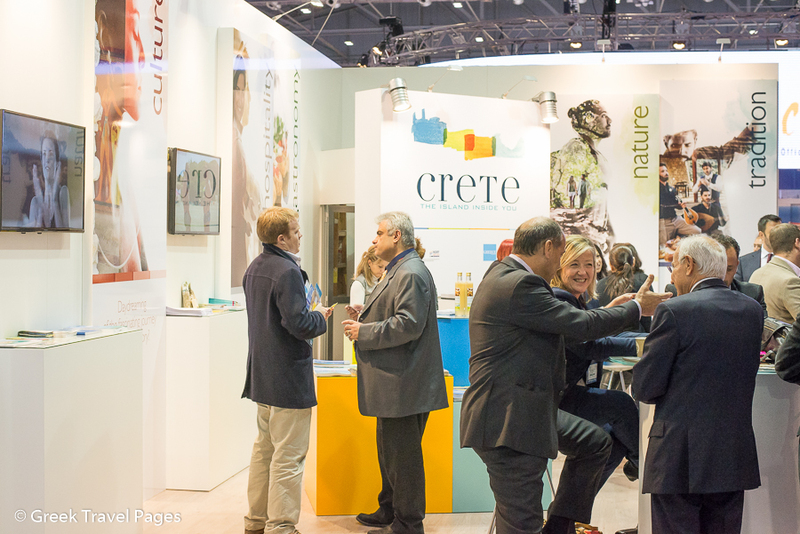 During WTM, representatives of the resort informed visitors that a celebration week will be held at Creta Maris during 1-8 May 2015 and invited them to combine their stay with many special festivities. Creta Maris Beach Resort is owned by Metaxas Group of Companies and has been operating since 1975. It has a capacity of 680 rooms, suites and bungalows, six restaurants, seven bars, seven swimming pools, a gym, spa, children’s club and many places for outdoor and indoor activities for children and adults. 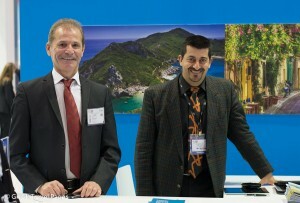 Pictured is the resort’s hotel manager, Nikos Vlassiadis. 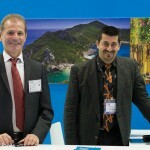 Santikos Collection – The Santikos hotel group is a regular at the World Travel Market, considering that 75 percent of the clientele of its hotels on Skiathos are British tourists. “Because we grow as a brand, the Sporades island group grows as a destination,” Konstantinos Santikos, the COO of Santikos Collection, told GTP. The Santikos Collection includes two hotels on Skiathos, one on Alonissos and another at Pelion, which is mainly preferred by the French and German markets. “These markets look for something more alternative other than traditional, coastal hotels. They want to discover Greece and search for something beyond the known “sun & sea” model,” Mr. Santikos said. 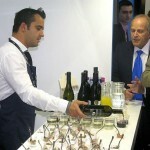 He added that alternative tourism is essential for Greece’s future and an answer to seasonality. “There are fantastic places that the foreigners just do not know about, because they have combined Greece only with the islands,” he concluded. 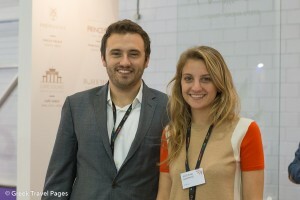 Mr. Santikos is pictured with Katerina Santikou, the business development director of the group. 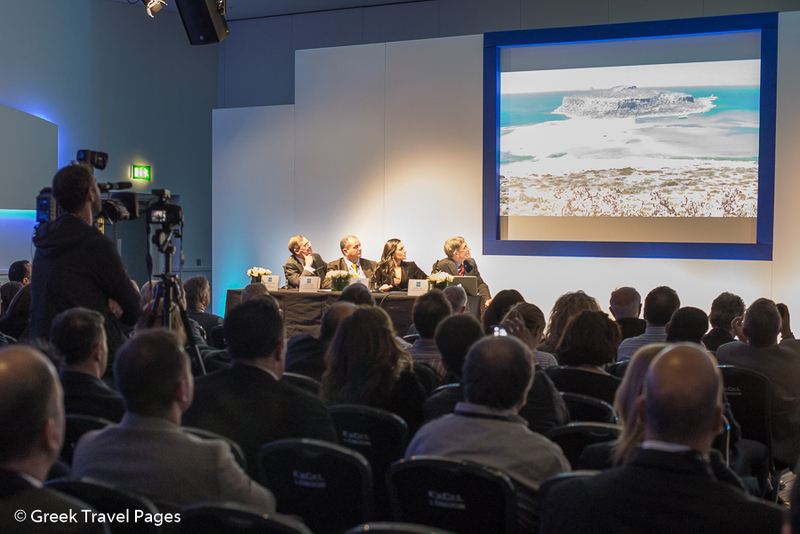 Thessaly – The Hoteliers Association of Larissa, in the Thessaly Region, introduced Larissa as an alternative destination to the UK market at WTM. 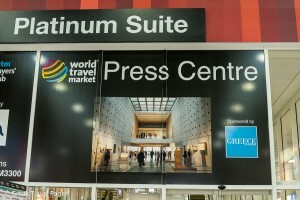 “Hoteliers have prepared 7- and 8-day travel packages based on what is currently available at the prefecture of Larissa, which include the paths of Olympus and Kisavos, a coastline that stretches out 20 km and rafting and canyoning activities… These packages are being promoted to international tour operators and Greek inbound tourism offices,” the association’s marketing manager, Tasos Gousios, told GTP. According to Mr. Gousios, this was the first organized attempt of the professionals of Larissa to attract tourists from the UK market. Larisa’s coastline currently attracts tourists from Poland and the Czech Republic and a small amount of German and Austrian visitors. 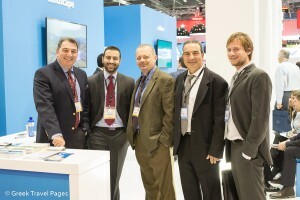 Mr. Gousios (right) is seen here with Alex Deffner, Professor of Urban and Leisure Planning. 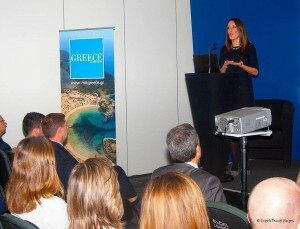 Crete – On 5 November, during the World Travel Market, the Region of Crete hosted an exclusive event for travel agents and the media at the National Geographic Store on Brompton Road in London, to celebrate the hidden wonders, picture-perfect beauty and tantalizing flavors of the island.The event included a stunning photo exhibition that “revealed” the must-sees of Crete. 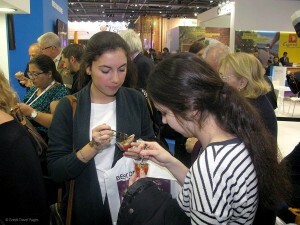 Visitors at the event had the opportunity to embrace the Cretan spirit, hospitality and gastronomy. 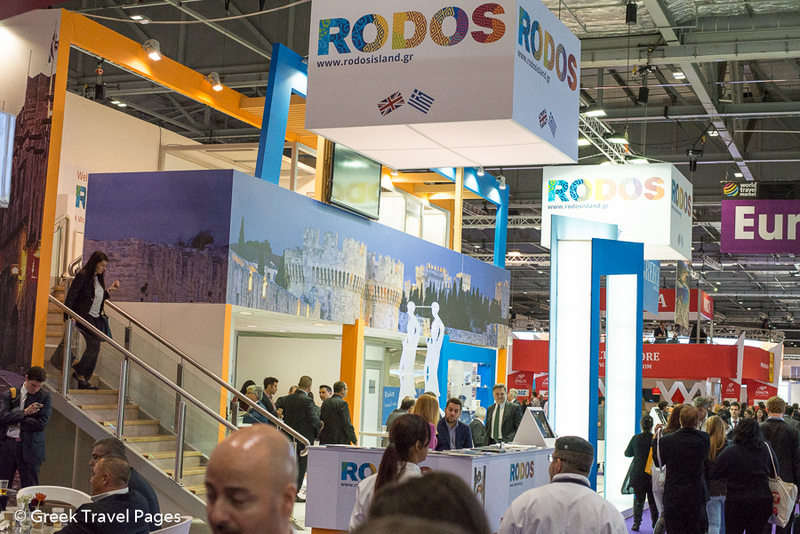 Rhodes – The Region of the South Aegean held a press conference during WTM to shed light on the vibrant history of the island of Rhodes, in celebration of the Rhodian archaeological exhibition “Rhodes: A Greek Island and Gateway to the East” opening at the Louvre Museum in Paris. The exhibit will run 14 November 2014-10 February 2015 and feature artworks from the museums of Rhodes and Copenhagen, as well as the Louvre and the British Museum dating back to the 14th and 6th centuries BC. Grace Hotels – The award-winning Grace Hotels group is getting ready for their fourth development in Greece, following the success of its iconic Grace Mykonos and Grace Santorini, with Grace Kea currently under development. Earlier this year, the group announced plans for a new hotel development including residential villas just outside the historic city of Kalamata, in the south western part of the Peloponnese in Greece. The hotel will comprise 125 rooms and suites plus up to 40 luxury residential villas, each with three, four or five bedrooms. Grace Kalamata is expected to open its doors in 2017. 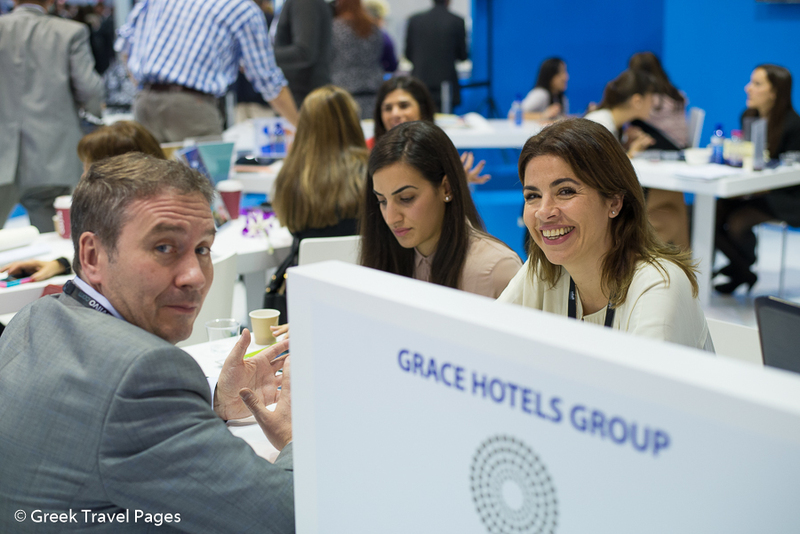 Pictured is the sales manager of Grace Hotels, Bessy Kafchitsa. 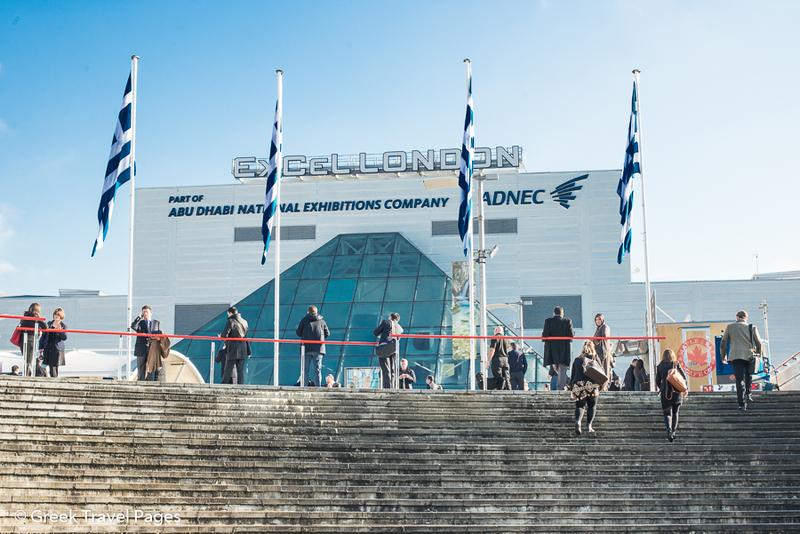 At the Greek stand, representatives of the Church of Greece presented a religious publication that follows the footsteps of Saint Paul, the Apostle, in Greece. The publication’s text was edited by the Synodical Office of pilgrimage tours and development of religious tourism of the Holy Synod of the Church of Greece and was published by the Apostoliki Diakonia of the Church of Greece. The Greek National Tourism Organization, which covered the publishing costs, has undertaken a project to record and promote Greece’s monastic products. 2014 is a landmark for Louis Hotels since it marks its 70th anniversary in the hospitality industry. “For seven decades the name ‘Louis Hotels’ has been associated with hospitality, first in Cyprus then on the Greek islands. 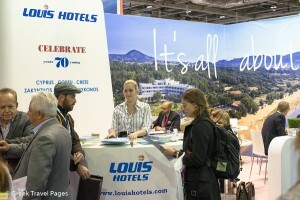 Synonymous with value for money holidays, Louis Hotels provide friendly island hospitality, enhanced with delicious taste experience and a warm genuine service,” Louis Hotels said in an announcement. Referring to this landmark, Popi Tanta, general manager sales & marketing of Louis Hotels, said: “We are passionate about what we do for seven decades and we are proud to create value and opportunities while offering the best of the Eastern Mediterranean to the world.” Today Louis Hotels owns and manages 18 4- and 5-star hotels in Cyprus, Rhodes, Crete, Corfu, Zakynthos, Mykonos serving over 160,000 guests every year. 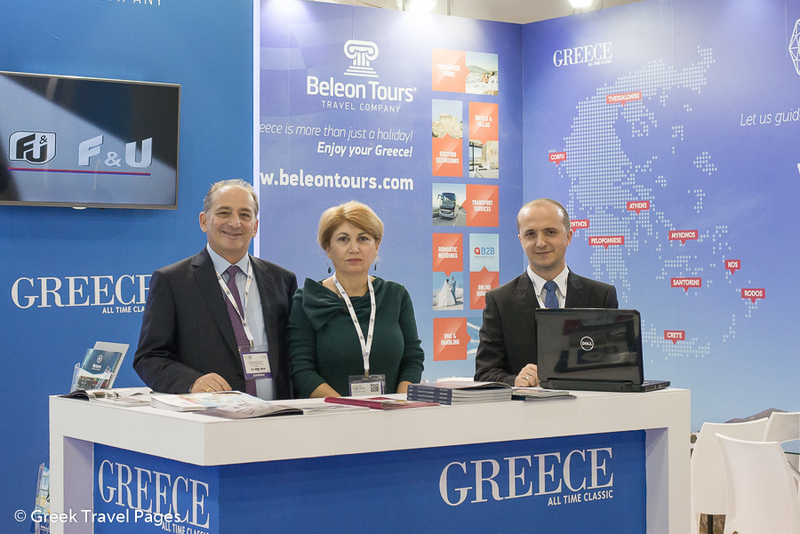 Beleon Tours – During WTM, Beleon Tours’ representatives presented the wide spectrum of the company’s services to visitors. 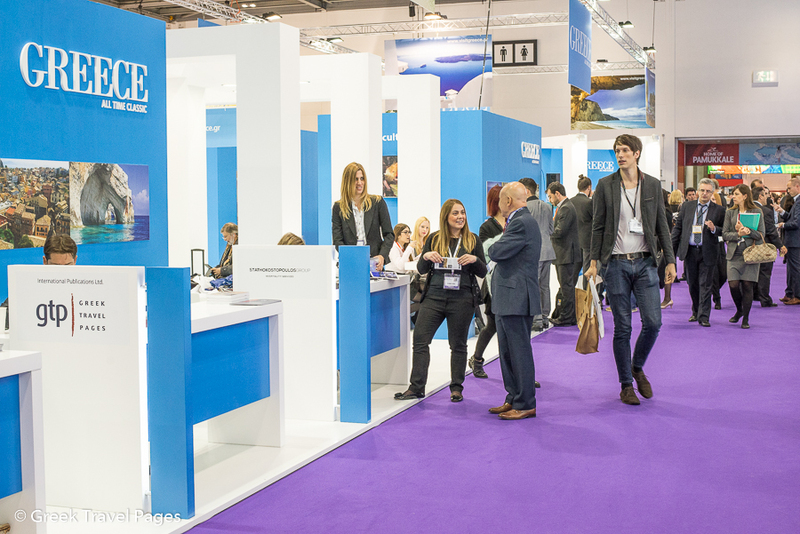 In frame of the company’s new development strategy, the company promoted its renewed offers concerning VIP and transport services, organization of MICE events, as well as organization of weddings and holidays in Greece. 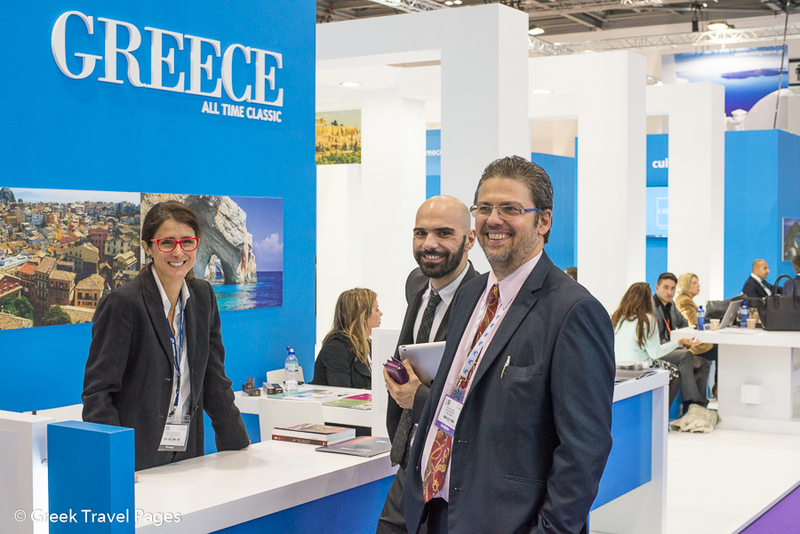 Visitors were also informed on the company’s renewed tours and excursions that are based on tailor-made programs and nonstandard routes covering the most popular as well as the most remote islands and regions of Greece. 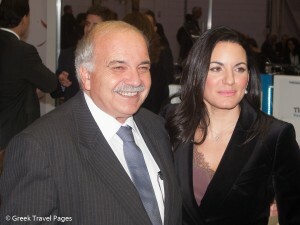 Pictured: Leonidas Dimitriadis, president & CEO and Bella Azoidou, general director. Ikos Resorts is a new hospitality brand with a collection of contemporary properties, which aims to redefine the luxury all-inclusive experience with “Infinite Lifestyle,” exceeding the needs of the most discerning global traveler, with bespoke touches such as á-la-carte restaurants with Michelin starred chefs menus, 24-hour in-room dining and all day beach-side service. The group has two resorts in its portfolio: the Ikos Oceania, located in the heart of Halkidiki, and the Ikos Olivia, located on the Gulf of Toroneos in Halkidiki. 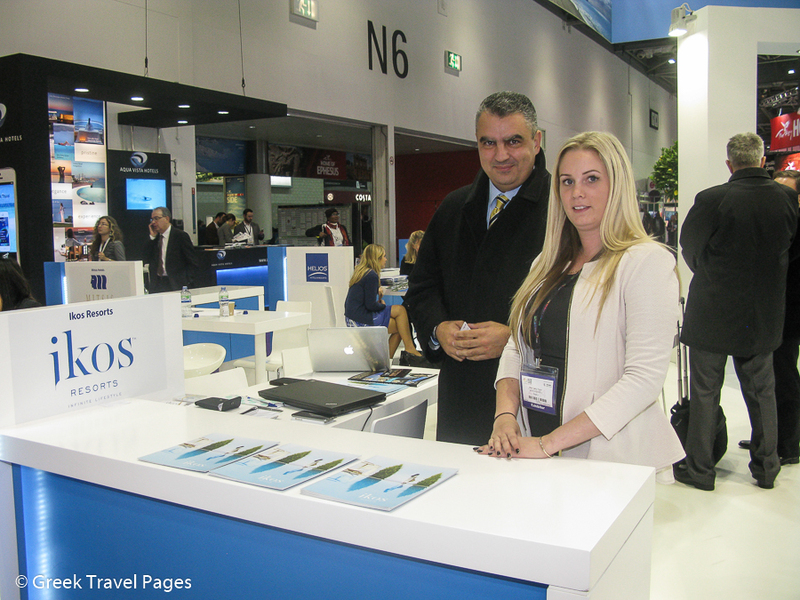 Pictured are Ikos Resorts’ director of sales and marketing, Kratinos Socratous, and the sales executive for the UK market, Carly Wright. 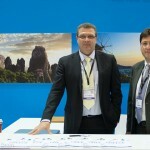 Ionian Islands – The Region of Ionian Islands was represented at WTM by the region’s vice governor for tourism, Spyros Galiatsatos. 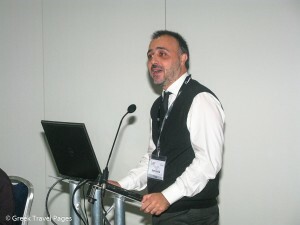 He informed journalists, exhibition planners and international tourism professionals, such as Expedia and Tripadvisor, on the region’s tourism policy, which is based on new strategies in order to enhance, enrich and upgrade the tourist product of the Ionian islands. The region aims to combat seasonality and improve arrivals to the islands so businesses will become more sustainable and profitable. 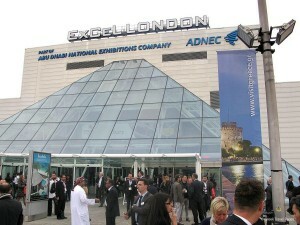 Many entrepreneurs from all the islands of the Region (hoteliers, tour operators, etc.) were present at the stand. 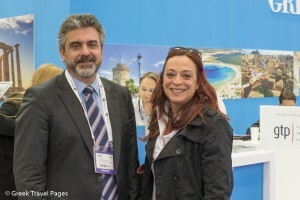 Mr. Galiatsatos is pictured with Greek Tourism Minister Olga Kefalogianni during the inauguration of the Greek stand on the first day of the WTM. 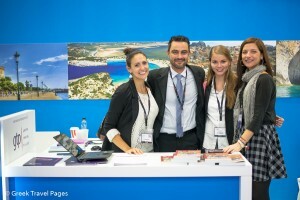 “We have received very good feedback from tour operators for the past summer season and we see positive signs for next year,” the sales & marketing executive of the MarBella Corfu hotel, Fran da Silva, told GTP. Although a three-year revamp was just concluded this year at the hotel, Ms. Silva said that more, smaller, changes will be made next season. “We will make some changes to the restaurant and offer service on the beach… We want to offer as much as we can to our customers in regards to service and hospitality,” she told GTP. 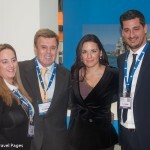 Ms. Silva said that the aim of MarBella hotel is to offer experiences to visitors. “We offer some programs so they can discover the destination and get to know the area through Marbella as we are located in an area that is not very developed tourist-wise but offers very good things for those who are looking… We aim to create a destination for them,” she concluded. 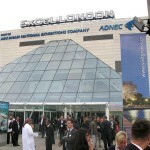 According to Ms. Silva, the UK is the hotel’s main market. She is pictured with the hotel’s general manager, Telemachos Gourzis, and president, Vassilis Drakopoulos. Region of the Peloponnese – The region’s vice governor for development works, Konstantina Nikolakou, informed GTP on the tourism strategy of the Region of the Peloponnese, which includes the relaunch of the railroad network in the mountainous Peloponnese and the promotion of the region as a wedding destination. 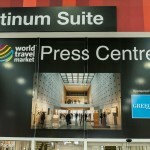 During WTM, representatives of the region held discussions with British travel agents that market wedding packages. 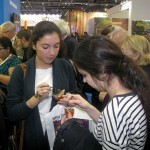 According to Ms. Nikolakou, they showed a great interest to the region. “Our Bourtzi in Nafplio or the most unique castle town in the world in Monemvasia, can not be compared with any other destination in regards to holding wedding ceremonies,” Ms. Nikolakou said. 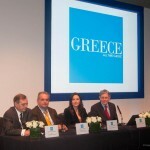 Annual press conference of the Greek National Tourism Organization (GNTO). 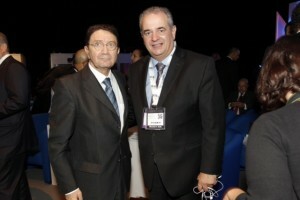 UNWTO Secretary General Taleb Rifai and Greek National Tourism Organization General Secretary Panos Livadas at the UNWTO & WTM Ministers’ Summit on second day of WTM 2014. Greek Tourism Minister Olga Kefalogianni and Greek Tourism Confederation (SETE) President Andreas Andreadis with Halkidiki Hotel Association President Grigoris Tassios and Thessaloniki Hotels Association President Aristotelis Thomopoulos. 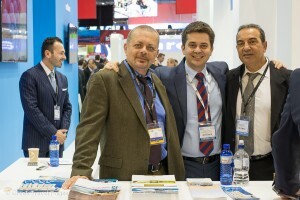 Hellenic American Chamber of Tourism (HACT) President George Trivizas, Miraz Tours Manager Marios Trivizas and Andy's Tours Vice President & Managing Director Evan Vasileidis at the stand of the General Panhellenic Federation of Tourism Enterprises (GEPOET). 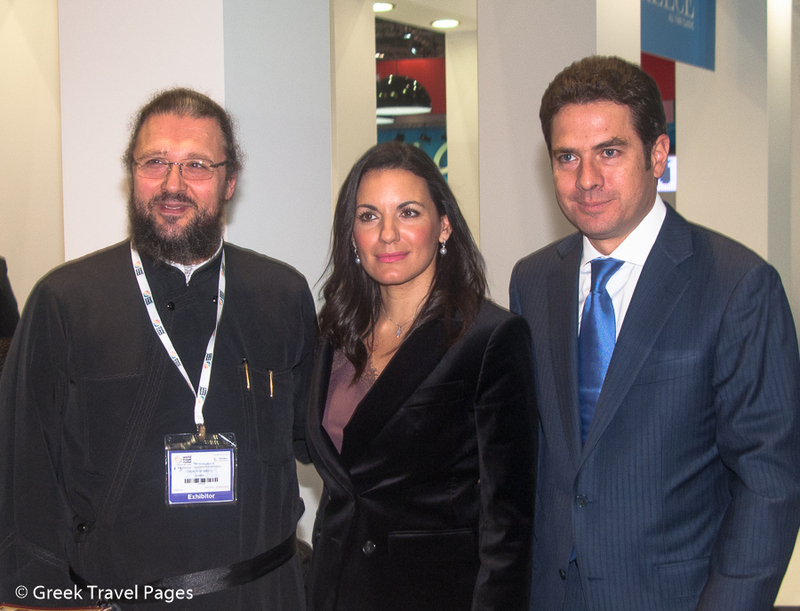 Manessis Travel President & CEO Andreas Manessis (second left) with Greek Tourism Minister Olga Kefalogianni during her visit to the company's stand. Maria Theofanopoulou, publisher of GTP, with Marilena Stathopoulou, owner and manager of TourHotel.gr c/o Acropolis Hill in Athens, Achilleas Hotel in Athens, ARION Athens Hotel and Kalamaki Beach Hotel in Corinthos. 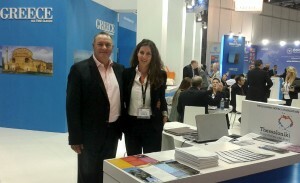 ACVB’s press and media manager, George Aggelis, with Areti Lianaki of Global Media. 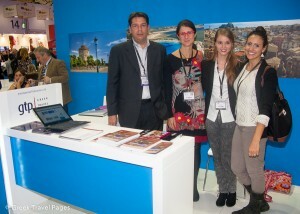 From TBEX in Athens to World Travel Market in London - GTP's newseditor, Nikos Krinis and the public relations director of the Athens Development & Destination Management Agency, Kalliopi Andriopoulou (far left), met up with travel bloggers Jenna Davis of Granted Apparel and Franziska Reichel from Coconut Sports at GTP's stand. Alexandra Stathakostopolos, director of marketing and communications of Stathokostopoulos Group of Companies with Theodoros Argiros. 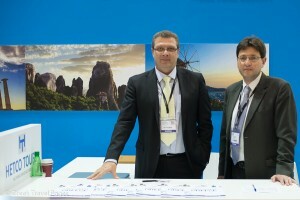 Alexander Messaris, managing director of HETCO Tours (left). 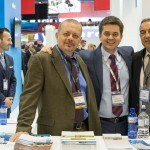 Meli Tours' managing director, Dimitrios Melikokis, and commercial manager, Samolis Angelos. 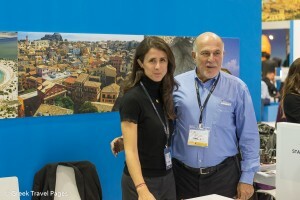 Maria Theofanopoulou, publisher of GTP, with George Vernicos, the general secretary of the Greek Tourism Confederation (SETE). 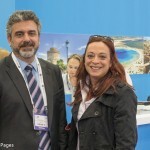 Frances Tuke and Panos Papadopulos of the Greek National Tourism Organisation UK & Ireland Office. 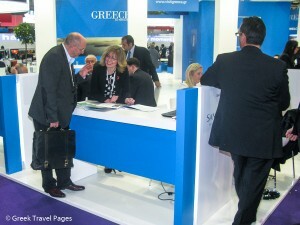 Greek Tourism Olga Kefalogianni at the stand of Aegean Airlines. 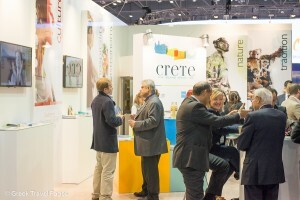 The stand of Sani Resort. 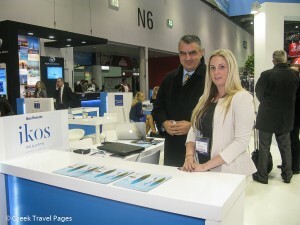 Maria Theofanopoulou, publisher of GTP, with Katerina Papaioannou, owner and manager of Kiwi Travel Services. 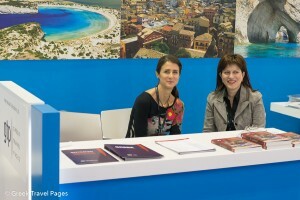 Region of Peloponnese vice governor for development works, Konstantina Nikolakou (far right) discussing with Greek Tourism Minister Olga Kefalogianni. 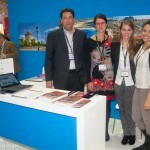 Philip Kitsopoulos, general director of danae.travel and Maria Theofanopoulou, publisher of GTP with with TBEX Athens' travel bloggers Jenna Davis of Give for Granted & Franziska Reichel of Coconut Sports. 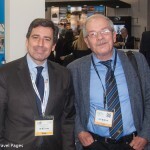 Navigator Travel & Tourist Services President & CEO Andreas Stylianopoulos with Hellenic Association of Airline Representatives President Dinos Frantzeskakis. 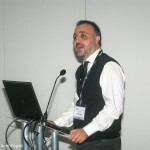 Manolis Psarros, CEO of Toposophy, was one of the speakers at a seminar of the European Tour Operators Association (ETOA) entitled "City Tourism: Is the Beaten Path a Thing of the Past?". 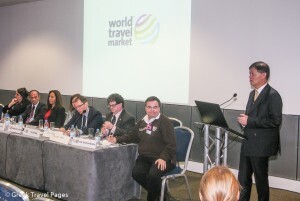 Professor Dimitrios Buhalis, eTourism Lab, School of Tourism Bournemouth University, was the chairman of the BU Tourism Futures Forum @ WTM2014 and engaged leading tourism practitioners from around the world on an interactive discussion to examine the future of tourism. 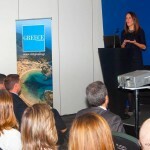 Christina Argyrou, Expedia's area manager for Greece and Cyprus, gave statistics on how Greece is standing up to its competitors during a workshop of the Greek National Tourism Organization.